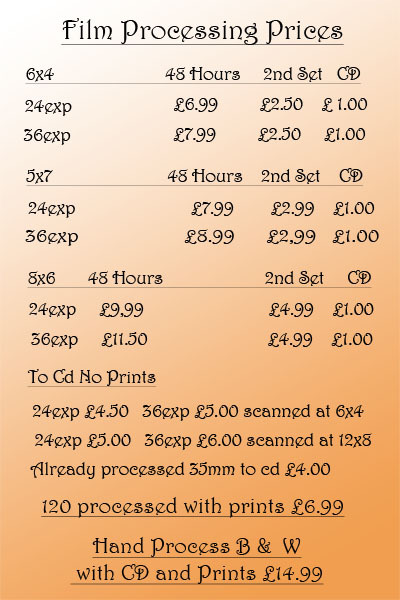 Need to find someone to process your 35mm and 120 films now you can't go to Jessops? Not a problem give us a try. We can accept films for developing, as with the above service, by post. Please just select how many you will be sending in and then we return them by post. It is cheaper on postage to send multiples.